Gionee Pioneer P4 (MT6582) now receiving Kitkat 4.4 Updates in India!! Home » Android » Gionee » News » Smartphone » Gionee Pioneer P4 (MT6582) now receiving Kitkat 4.4 Updates in India!! Well known company for budget phone Gionee now rolled out Kitkat 4.4 Updates (OTA) in India. Recently budgets phone Gionee pioneer P4 now getting ota updates of latest android 4.4. In previews Gionee S5.5 and E6, E7 mini also got kitkat updates.But amazing thing is Some of Gionee devices with Hire version of chipset is still stuck on Android 4.2.1 JB. Like E7 , Dream D1 (MTK6589) etc. 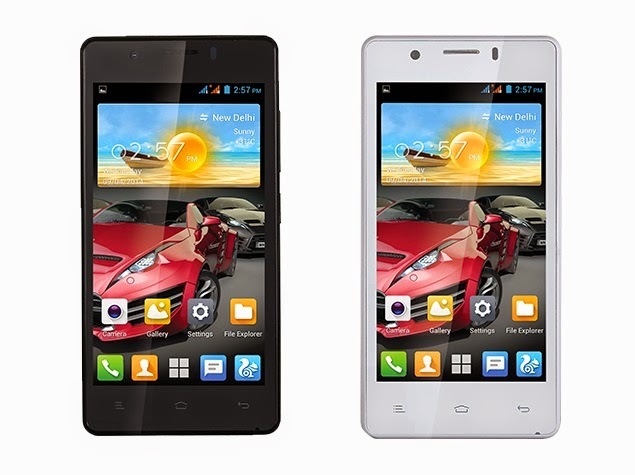 Gionee Pioneer P4 has MTK6582 ,Quad Core 1.3GHZ processor with 4.5" tft lcd.And dualSim.Aprox price is 10K. According to company's change log In new Kitkat update got improoved desktop and some important apps update like NQSecurity and much more..
Other changes is two new games aided and improoved Xender for gionee App also.New gaming user interface (Game Zone) giving a better grip over gaming applications, as well as a new TouchPal input method.